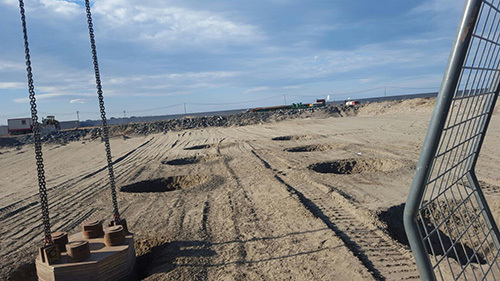 Menard have successfully completed the soil improvement works in Karasu Port by means of dynamic compaction and handed over the site to the client İÇTAŞ. 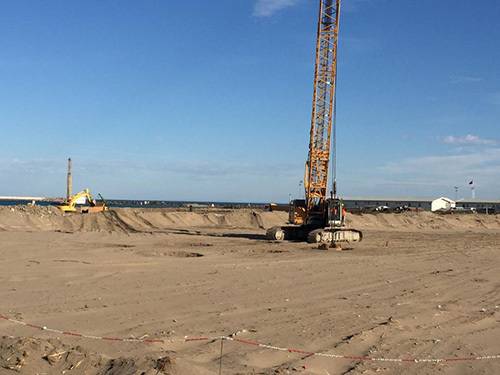 4,200 m2 area was densified against liquefaction where the administrative buildings of the port are planned to be constructed. In terms of QA/QC, 2 penetration tests and 26 no pre and post CPT’s were carried out. 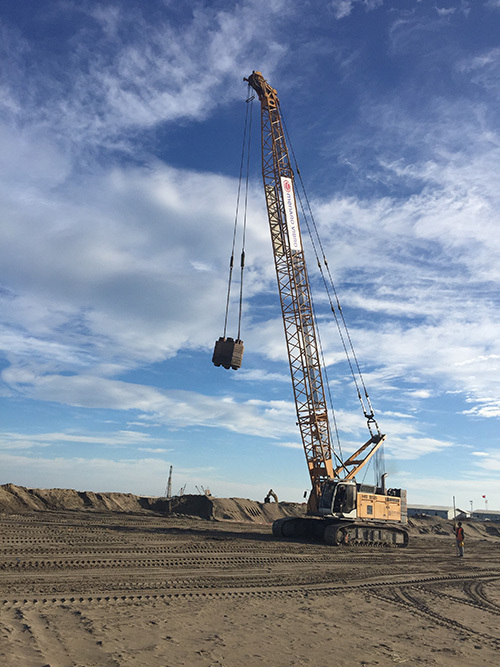 Using a LB HS855 crane that our sister company Zetas owns and a 17ton pounder, we have improved the sand layer up to 7‐8m depths. Beneath the sand layer non‐compactable silt layers were present. Our acceptance criteria was to be able to calculate liquefaction induced settlements <10cm using the post‐CPT data. We managed to stay within the settlement limit by few millimeters.